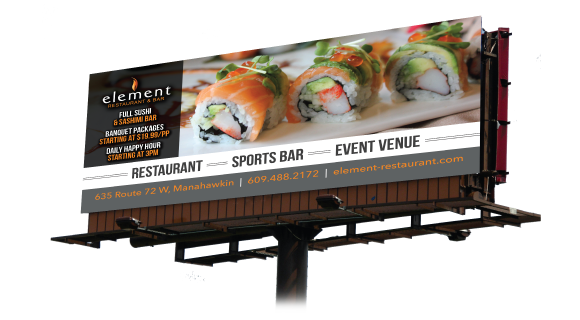 Element Restaurant & Bar was opened late 2013 in central New Jersey. 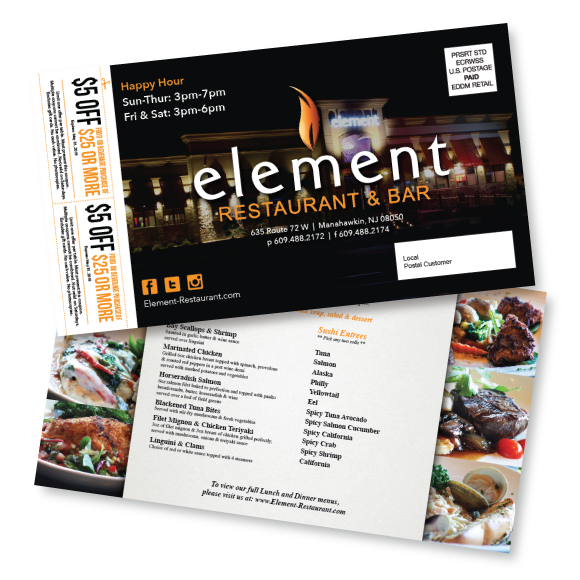 Their mix of Asian and American cuisine gives the ultimate fine dining experience and was very well received in the local area. This up scale restaurant is nestled on a highway that sees hundreds of thousands of passerby’s daily. 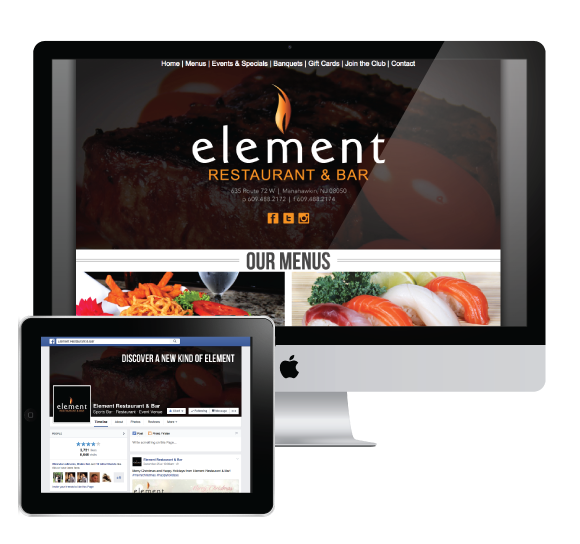 Needing to take advantage of this traffic, we were hired to handle all of their marketing and branding, from menu design, to signage, to web development and even social media to name a few. 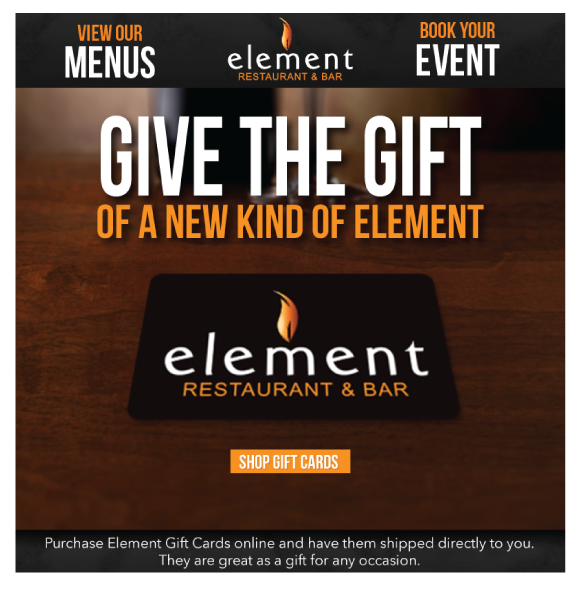 Through this strategy, Element Restaurant & Bar has seen great success in its first year and are gaining more customers daily.